Ad serving is the act of delivering an online advertisement to a browser on a computer, smartphone, or tablet. This is done through an ad server, which is a software solution, that helps publishers, advertisers, ad agencies, ad networks and ad exchanges, manage their advertising programs. Nowadays, ad serving is part of our everyday lives as advertisers try to attract our attention with image banners, flash animation, text ads, and videos when we visit a newspaper site, use our mobile app, or catch up on our friends activities on a social networking site. As a very simple classification, ad servers are divided into two types: publisher ad servers and advertiser ad servers. 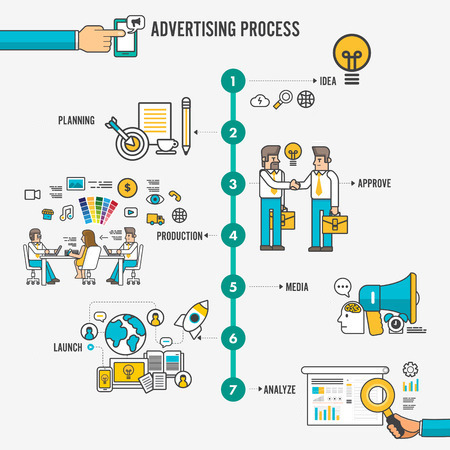 In both cases, the ad serving service is often provided by a third-party ad server that helps publishers and advertisers reach their goals by displaying their ads, targeting them to a specific audience, tracking their performance, and optimizing their ad campaigns. In the case of the publisher, they want to increase their revenue and serve ads to do so, whether it be through direct sales, ad networks, or in-house ads. As for advertisers, they are also interested in increasing their revenue and one way to do so is by placing ads to boost brand awareness, generate leads, or create social media activities. Advertisers use ad serving and ad tracking tools to audit ad delivery and measure their returns on ad spending. When a visitor arrives to a website that is serving ads, the ad tag will be executed and the correct advertisement will be displayed. If you are a publisher or an advertiser in need of an adserver then you should open a free trial account with a comprehensive ad server like AdSpeed. We have all the basic and advanced features that you need to achieve your advertising goals.